Where do we even start with our August Hit List of amazing events?! 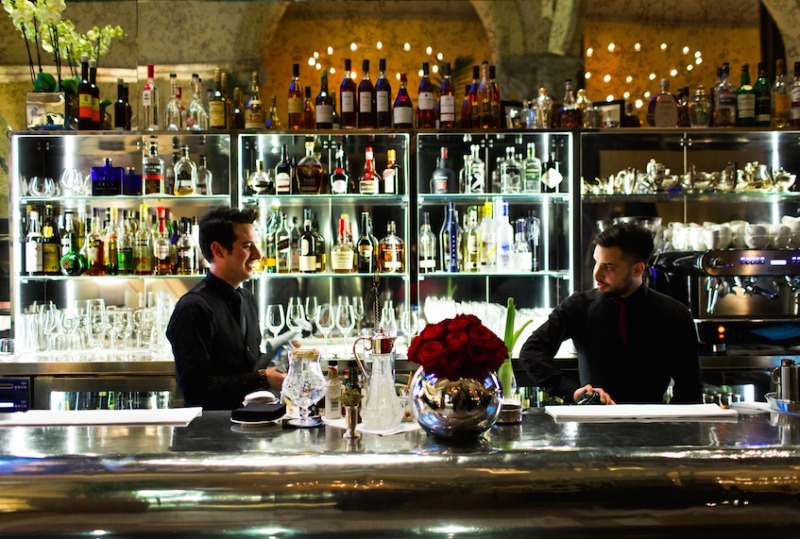 Luxuria Lifestyle UK have rounded up your 15 must-do’s and you’ll have to start sharpish if you want to tick all them all off your summer check list! 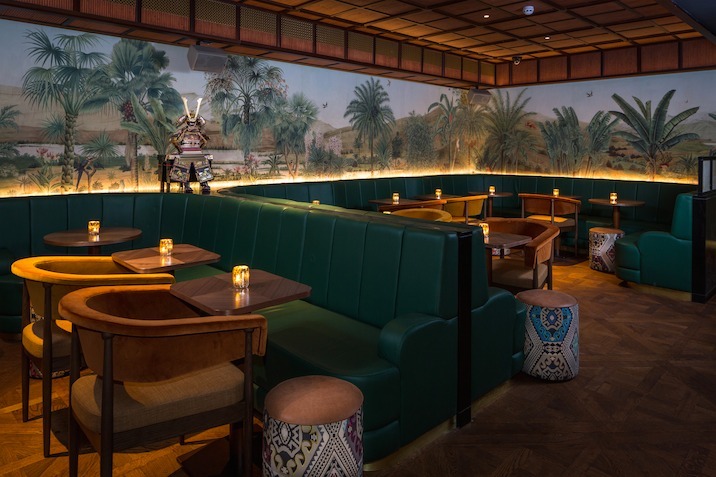 From the new Antigua & Barbuda Beach Shack at Archer Street, to the Ampersand’s South Kensington Cinema Club and from MINI’s new Flashpack adventures to Elephant’s residency at John Lewis Gardening Society, we literally don’t know where to book in first! 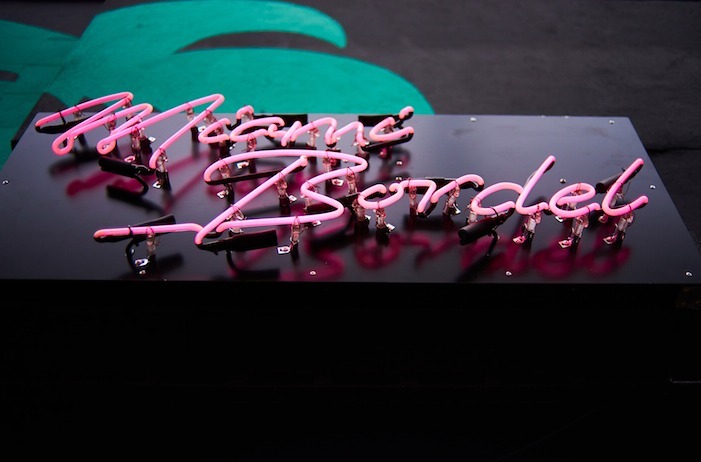 Bringing the Miami vibe to Shoreditch this summer, The Experimental Cocktail Club’s basement bar Joyeux Bordel is being temporarily transformed into Miami Bordel. With an East Coast beach scene, frozen Miami Vices (Pina Colada and frozen strawberry daiquiri), you’re guaranteed to keep your cool with the list of 80’s inspired cocktails. Until 26th August. Five years after the opening of Evans and Peels’ infamous Detective Agency bar, their second venture disguised as a 1920’s pharmacy in Chiswick will open later this month! 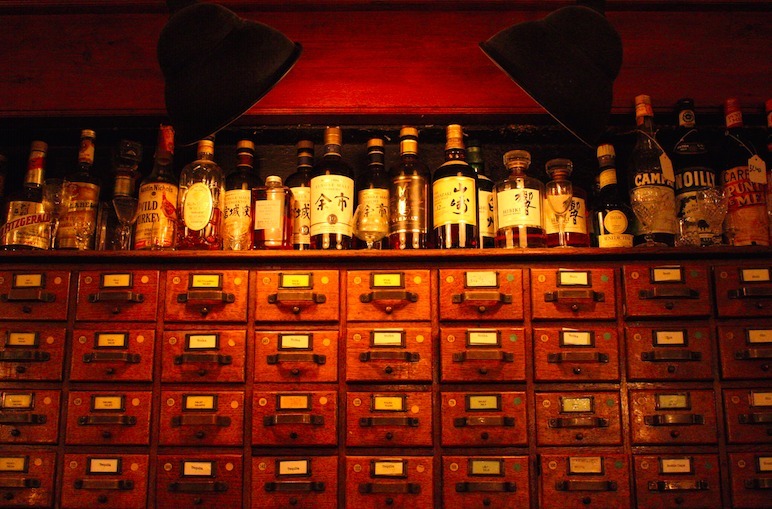 The secret prohibition-style bar will combine stylish vintage furniture and a pharmacy feel with an innovative, experimental cocktail list, vintage Japanese whiskies and sophisticated wines and champagnes. With US style old school snacks on the menu including the American grilled cheese sandwich which arrives in a dramatic smoke filled cigar box, visitors in the know will have the password to enter via the secret entrance, while blacked out windows will keep out prying eyes! Soft launch offer: From 21st – 27th August anyone who makes a reservation and follows the Evans & Peel Pharmacy Facebook and follows @evansandpeel Instagram will receive 30% off their total bill within a 90 minute appointment. Australasia, a bar and dining destination like no other in Manchester, will transform its terrace into the ultimate party destination over the summer, with a special Moët Terrace Party, in collaboration with Moët & Chandon Champagne, on Bank Holiday Sunday (27th August). In celebration of Australaisa’s re-opening, following an interior refresh, the Moët Terrace Party, at Australasia Terrace, will celebrate with a glamorous gathering from midday until the early hours adorned with Moët accessories, a branded bar, photo booth and live entertainment from it sax and percussionist, ensuring guests have a #moetmoment to remember! 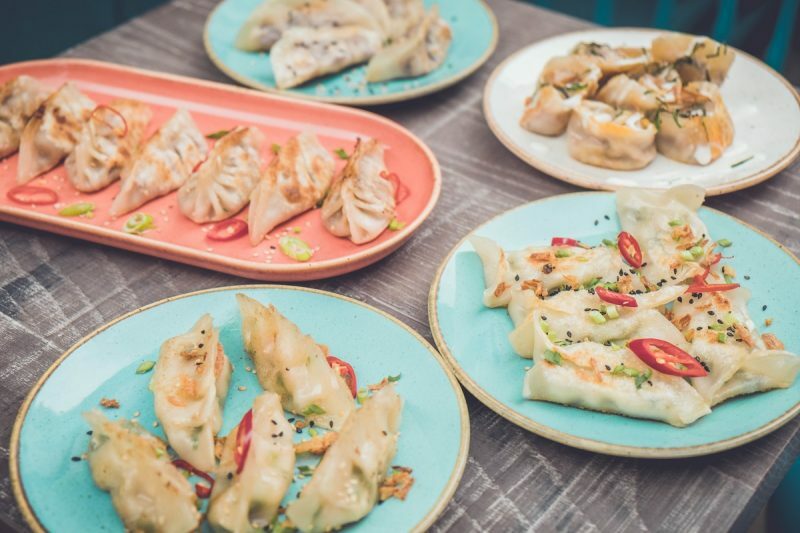 Popular street food vendors Ugly Dumpling have now opened their first permanent site in Carnaby’s Newburgh Quarter. The restaurant serves traditional Asian dumplings with western ingredients, reflecting Ping Wong, co-founder and chef, Chinese Malaysian heritage along with her British upbringing. The restaurant fuses Western/Eastern flavours together, transforming the humble dumpling from an Asian street snack into a new dining sensation, an exciting global twist on dumpling recipes. The menu features signature dumplings including; Aromatic duck, Pork belly, Satay chicken, Prawn and chive and the vegan special Spinach and Tofu, as well as a range of dessert dumplings such as White Chocolate and Matcha and sides such as Tempura Aubergine and Beetroot Noodles. Oriole in Smithfield Market is hosting a night of Jamaican rum and blues on Monday August 14th for another Spirited Summer even. Teaming up with Jamaica’s oldest sugar cane estate Appleton Estates, along with keyboard player Tim Penn for a luxury food and cocktail pairing, there’ll be a masterclass from Appleton’s master mixologists and small plates from Oriole’s award-winning Argentinian Head Chef Gustavo Gaillonard, before Tim’s live performance at 9pm. New to Seven Dials this August, Boki offers quality coffee and snacks throughout the day, and by night, delivers internationally-inspired small plates expertly paired with cocktails, craft beers, wines and aperitifs. Owners Boris Becker and Kim Mahoney Hargreaves have taken influences from around the world, while Allpress coffee will be served along with teas, juices and smoothies. Expect healthy breakfast Boki Bowls, indulgent sandwiches like the Boki Classic (pastrami, pickles and swiss cheese on brioche) and evening small plates like the BBQ Lamb Mini Tacos with peanut brittle, mint and sweet corn salsa and Chorizo Toad in the Hole. 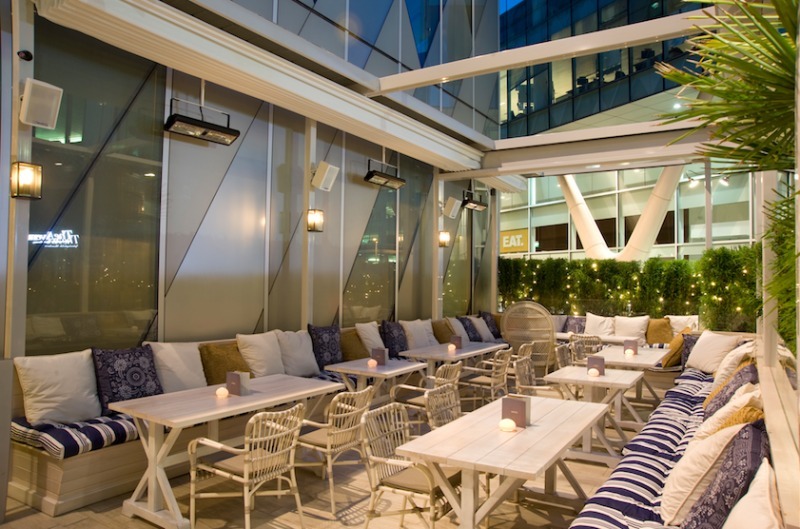 A relaxed airy setting for socialising any time of the day or night in Central London. 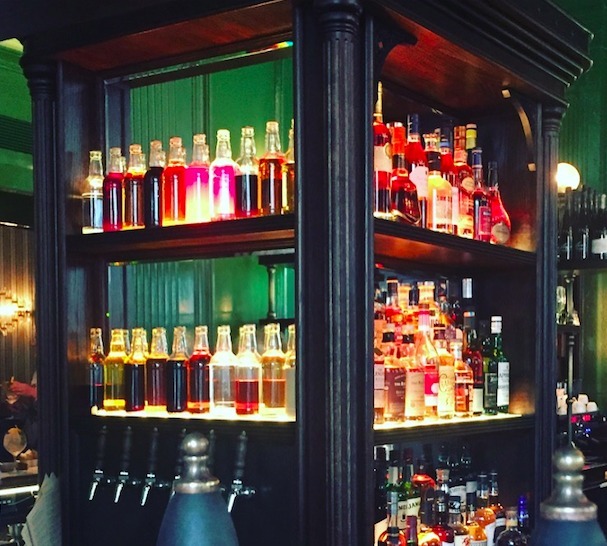 The Wigmore – a traditional British Tavern within the five star Langham Hotel on Regent Sreet is a definite go-to this summer in London. With a delicious range of drinks on offer from the team behind The Artesian, along with a menu overseen by Michel Roux Jr, there’s superb wines and delicious craft beers to enjoy alongside snacks like the Masala spiced scotch-egg with ‘dahl’ relish and mains including the ox-cheek and ale pie served with brown sauce, or the paprika glazed beef short-rib. The fat chips with bloody mary salt are to-die-for! Flash Pack have partnered with MINI for the ultimate Scottish road trip! Available 21-24 September, or 29 September – 2 October, MINI Adventure lovers can take in the beauty of the Scottish Highlands for four days in a new 4×4 MINI Countryman for just £699. With holiday rental cars becoming increasingly expensive, the Flash Pack road trip which comes with insurance, combines alfresco dining with private chef, Scottish castles, kayaking and zip-lining in one unique all inclusive package. What’s your flava?! 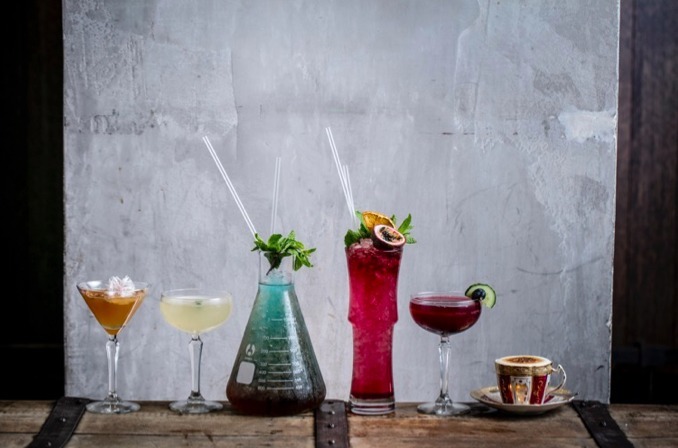 100 Wardour Street’s passionate mixologists have cooked up a storm with their new drinks menu. The Bar & Lounge is now offering up a selection of Bartender’s Creations, Twists on Classics and Digestifs like The Tea Party Extravaganza (Hendricks Gin with bergamot, egg white, grapefruit and Earl Grey, served on ice in a bespoke tea cup). Enjoy with a full new food menu including snacks, nibbles, sandwiches and salads with veggie and vegan options. 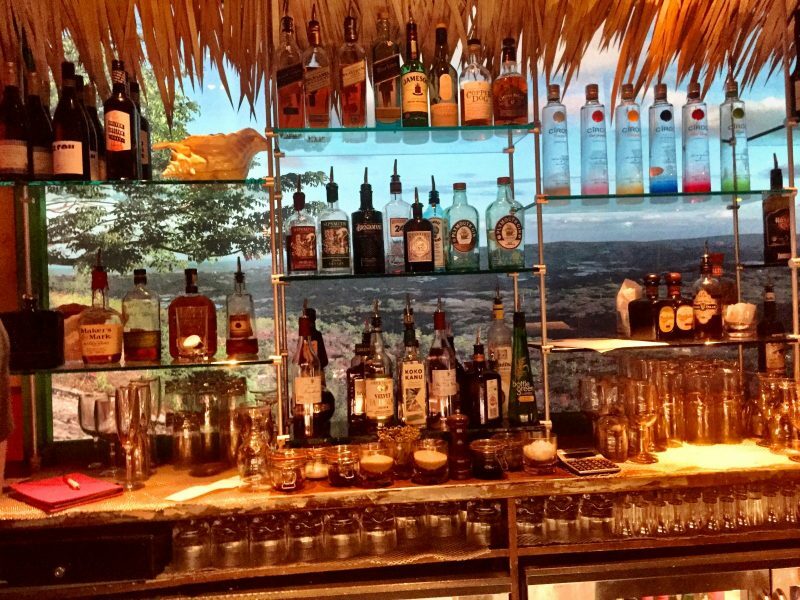 In the Restaurant & Club downstairs, you’ll find the list of rum based Lost Treasures, The Rum Cruise, Long Drinks like the Far East Mule made with Appleton signature blend rum, plum sake, lime sugar, wasabi and ginger beer, and The Spirit Lovers Menu – to name but a few! Can’t decide? 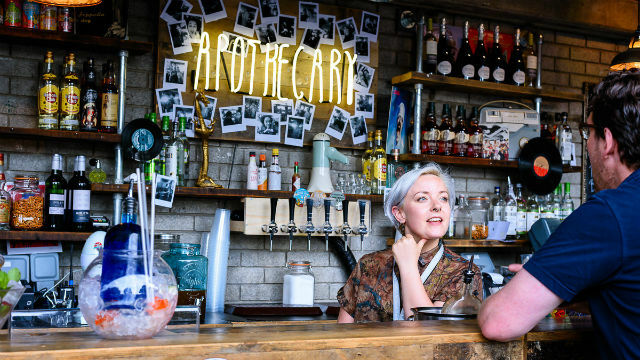 Take advantage of three bespoke cocktails for just £20, with different themes running including Tiki Summer from the end of August and the 90’s Revival in September. Michelin-starred Torquay restaurant, The Elephant is heading outdoors, as it takes up residency on the roof of John Lewis Oxford Street. 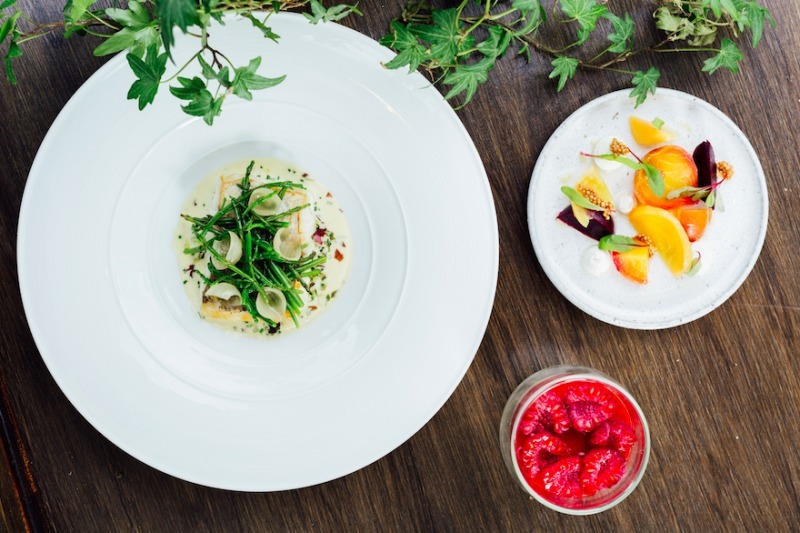 With a bespoke menu to showcase seasonal summer dishes, there’ll be a 2 course set lunch (12-2pm) along with a pre-theatre menu (5pm-6:30pm) for £19, or 3 courses for £24.50. 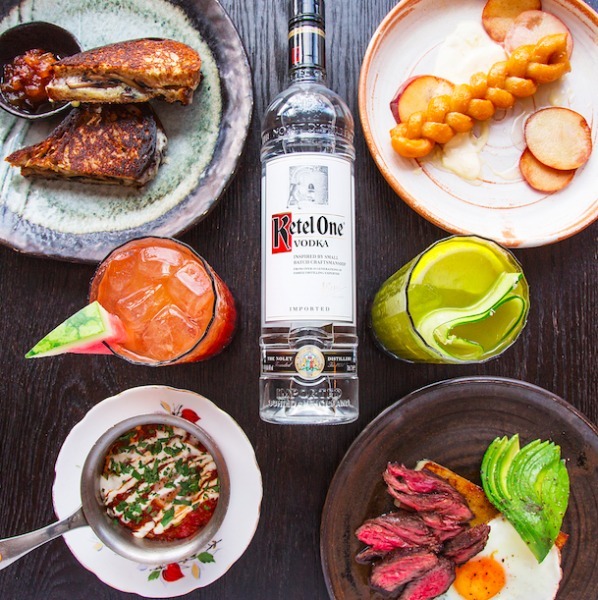 This summer, Ketel One Vodka will be teaming up with acclaimed East London restaurant Paradise Garage, from Robin Gill’s restaurant collection, for a Dutch Summer Season. Championing brunch the Ketel One Way, cocktails, including classic and quirky Bloody Marys, will be expertly paired with dishes from chefs Patrick Williams and Simon Woodrow, some of which have been given a Dutch twist with the help of Michael Zee from Symmetry Breakfast. As well as the the Ketel One Dutch Brunch, a summer terrace bar will be installed on the iconic terrace at Paradise Garage, allowing guests to enjoy their Dutch experience al fresco. From 4th September, a specially installed cinema at The Ampersand Hotel will show a series of iconic motion pictures celebrating its cultural influences and the surrounding area. With a bespoke menu of savoury and sweet popcorn (parmesan and truffle oil anyone? ), coffees and cocktails and the option of exclusive hire of up to 8 friends and family, the cinema setting will be intimate and relaxed with low-set armchairs and sofas for two. Five central concepts which run through the hotel are the inspiration for the movies which have been chosen, including The Jungle Book (botany) to La La Land (music) and Fantastic Beasts and Where to Find Them (ornithology). Vivek Singh and ‘Mr Lyan’s’ Ryan Chetiyawardana have teamed up for an environment friendly idea to encourage Londoners to waste less. With ‘Upcycled and Recycled’ Mr Lyan sustainable cocktails (ingredients include watermelon rinds and pistachio shells), alongside Singh’s signature street food served in recycled dishes including Dabi Vada – chilled white lentil dumplings, cooling cumin yoghurt topped with masala chickpea giant caviar and Bhelpuri Chaat – puffed rice and chickpea vermicelli with spiced potatoes and coriander chutney, the Summer Festival Terrace on Kingly Court is the most eco-friendly place to relax this August. Monday-Sunday from 3pm onwards. Chris and Jeff Galvin are celebrating summer in the city with slashed prices at their fabulous restaurants. At Galvin Bistrot de Luxe, take advantage of the Menu Gourmand with 5 courses and Apéritif for just £27.50 featuring champagne cocktail and Braised short rib of Hereford beef, cous cous, confit lemon and harissa jus. Galvin La Chapelle, Spitalfields meanwhile will be offering the 5 course Michelin-Starred Tasting Menu for just £35.50 per person. Diushes include the Lasagne of Dorset crab, beurre Nantais and Pot roast suprême of Landes chicken, herb gnocchi, sweetcorn purée & hazulut vinaigrette.